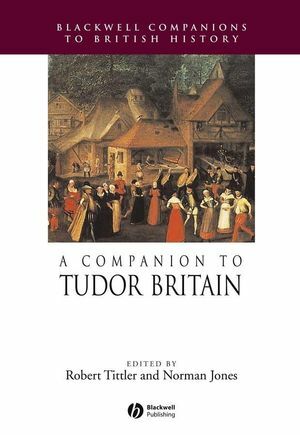 A Companion to Tudor Britain provides an authoritative overview of historical debates about this period, focusing on the whole British Isles. Robert Tittler is Professor of History at Concordia University. His recent publications include The Reformation and the Towns in England: Politics and Political Culture c. 1540–1640 (1998) and Townspeople and Nation: English Urban Experiences, 1540–1640 (2001). He is co-founder and Chair of the Montreal British History Seminar and Chair of the Executive Board of Records of Early English Drama. Norman Jones is Professor and Chair of History at Utah State University. His recent publications include The Birth of the Elizabethan Age: England in the 1560s (Blackwell, 1992) and The English Reformation: Religion and Cultural Adaptation (Blackwell, 2002). Part I Government and Politics. Part III People and Groups.